We believe medical market research can be trusted if it’s done right. Your critical decisions and future planning is just as important to us, and that’s why our research methodology, specific to the medical industry, is our biggest priority. For more than a decade, iData has been one of the most respected healthcare research companies in existence. When it comes to the research of global and US medical device markets, healthcare companies know that we delve deep into segments and sub-segments, identifying the trends and other forces that will shape the industry. Your business is unique and information about your market isn’t always readily available. We stand apart from other healthcare market research companies in that we will work with you to get answers to your questions through our specialized consulting services. 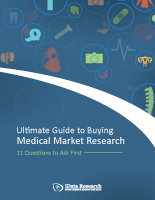 Our health market research reports provide our clients with the most valuable and up-to-date decision making information using our comprehensive research methods. We have just released a series of global reports on immunology drugs with a new format never before seen in pharmaceutical market research. 3000+ pages covering 5 diseases in 12 countries. React faster and make better informed decisions with MedSKU, which allows you to track competitor market shares, unit sales, and average selling prices by product (SKU) and brand on a monthly or quarterly basis. We offer a multi-angle approach to data intelligence that allows you to see indepth analyses for medical device markets in the United States. There are many health industries research companies, but our ability to dig deep for the vital information you need is unsurpassed in the industry. Our healthcare research associates compile medical market surveys use quantitative and qualitative elements to produce in-depth and beneficial survey results tailored to your market, products, competitors and more. Our subscription-based report database allows for easy, company-wide access to all of our most current research covering thousands of markets. We design custom databases that quantify procedure volumes, allow health resource companies to discover potential market opportunities and outline exactly who to target. 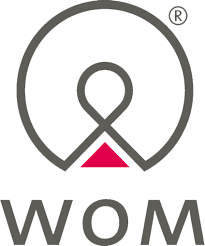 We gather information through the use of primary research with the help of our extensive list of medical device, pharmaceutical and dental partners. The experience and data from product managers, marketing executives, analysts, doctors and researchers is combined with large databases of hospital procedure numbers, product units sold, average selling prices, internal medical libraries and SEC / FDA filings. This allows us to produce the most comprehensive market research in the industry to ensure that our clients can do it right when it comes to creating strategies based on trusted intelligence. For each market research healthcare report we produce, we devote hours of rigorous work with the intention of exceeding the highest standards of quality in the health market research industry. All of our healthcare research associates are committed to delivering the most reliable and accurate assessments available, based on a strong foundation of both qualitative and quantitative analysis. We’ll be happy to discuss your market information needs and suggest the right solution that will help you succeed. Our commitment to delivering the utmost in quality is something that no other health resource companies can surpass, and we’re ready to provide you with the industry intelligence you need, regardless of category or sub-category. iData empowers its clients to achieve success through making intelligent data-driven decisions. Our global medical research solutions reflect the needs and strategic challenges of the industries involved. Therefore, we specifically design all of our market reports and consulting services to accommodate a wide range of medical, biotechnology, life science, dental, and pharmaceutical manufacturers and industry stakeholders. 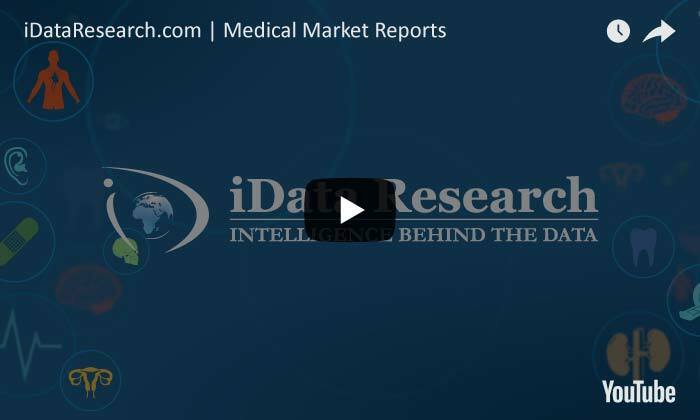 iData is a healthcare market research agency that is devoted to making sure our clients receive reliable, accurate information they can trust. Every member of our research team devotes hours of deep research into medical device market analysis, not only identifying the challenges and opportunities facing the industry, but to anticipate them as well. All of our quantitative estimates of growth are based on unassailable facts, using a proprietary method to forecast future values. We provide actionable market intelligence allowing medical device product managers, marketers, CEOs and healthcare market research consultants to better navigate this fast paced industry. We’re proud to be one of the best healthcare market research companies in the world for over a decade.